Do you constantly feel tired, distracted, or suffer from sleep disorders? You might suffer from low-level depression. According to a scientific study performed by the World Health Organization, as many as 120 million people worldwide suffer from some type of depression. What is depression? Depression is described is a very common mental disorder that creates a chemical imbalance in your brain. Having the condition isn’t limited to mental hindrance, it can affect your body as well. You might experience pain, headaches, fatigues, sleep disorders, and digestive problems. Depression is considerably one of the more prominent disease that affects mental health. Its degree varies from person from person but the symptoms are identifiable. 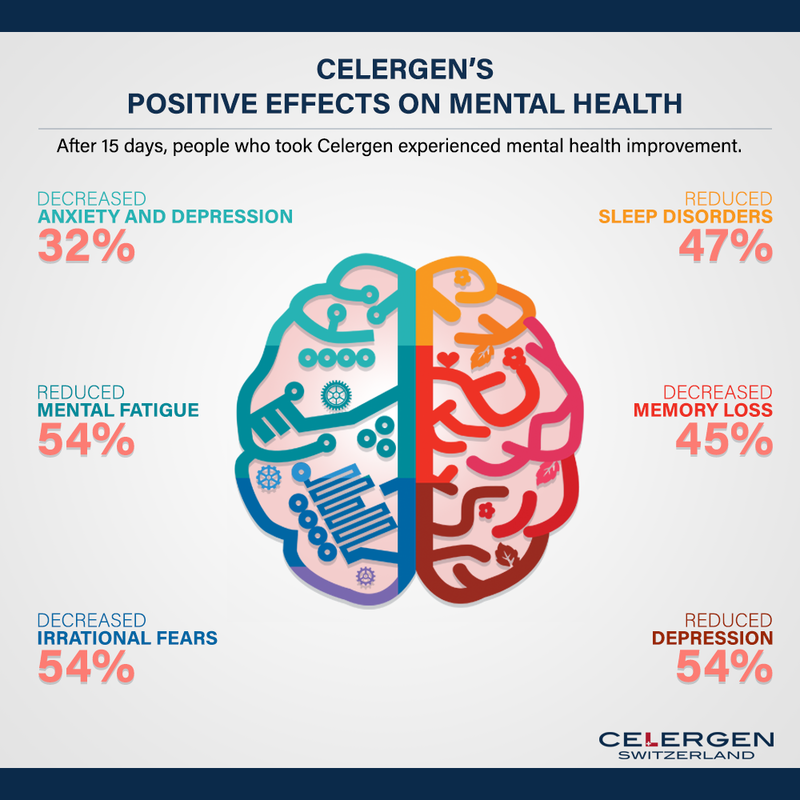 Celergen has undergone many clinical studies that suggests its ingredients significantly improves mental health and elevates mood.